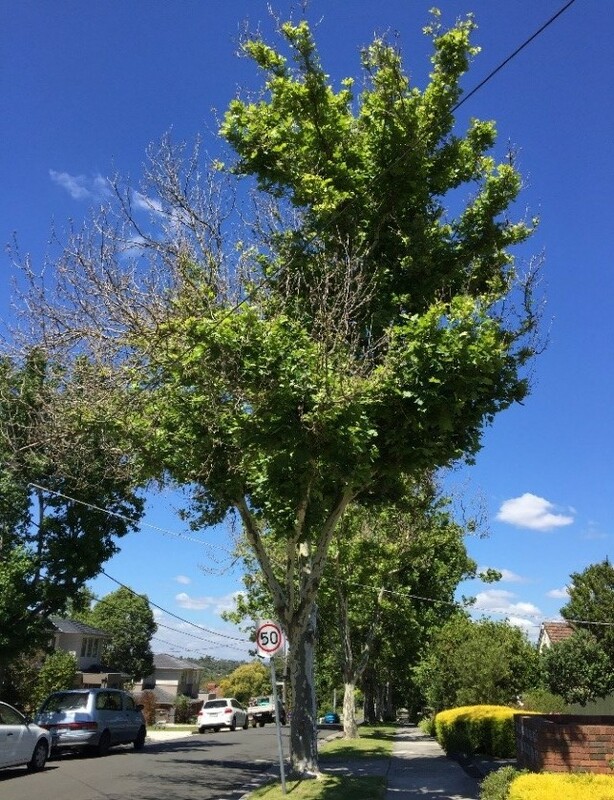 Plane Tree Anthracnose is becoming commonplace. 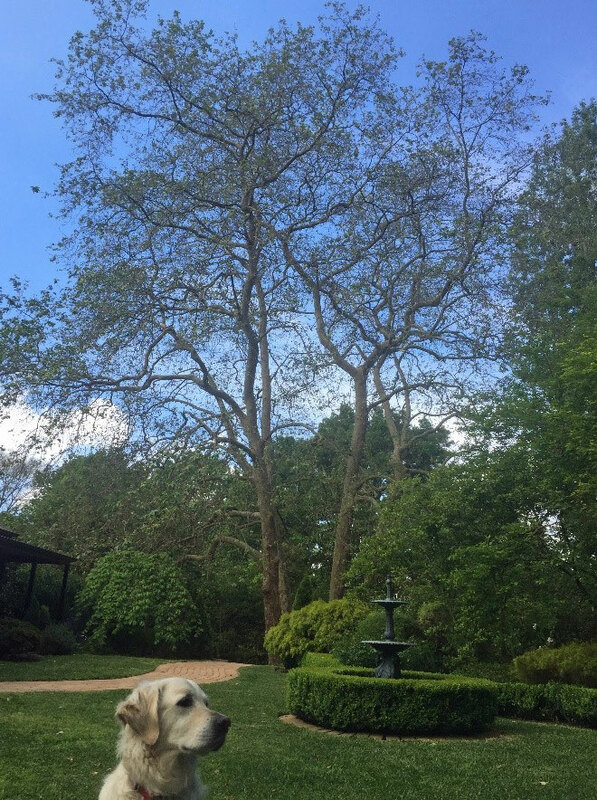 Quick treatment can often be all that is required to save your tree from devastation and disfigurement. 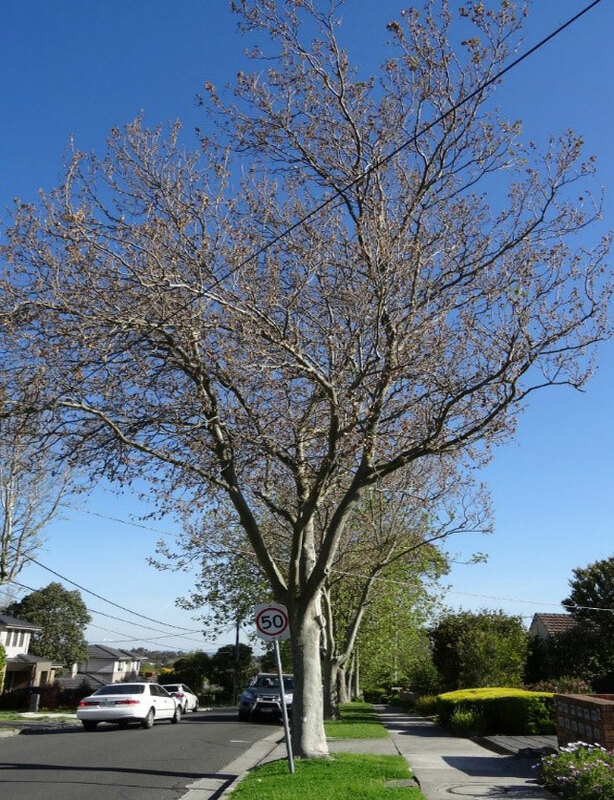 Elmsavers has over 30 Years’ experience treating Plane Tree diseases. 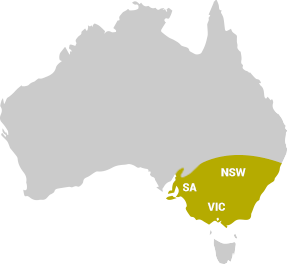 Our experience provides multiple options for treatment that are not available elsewhere. 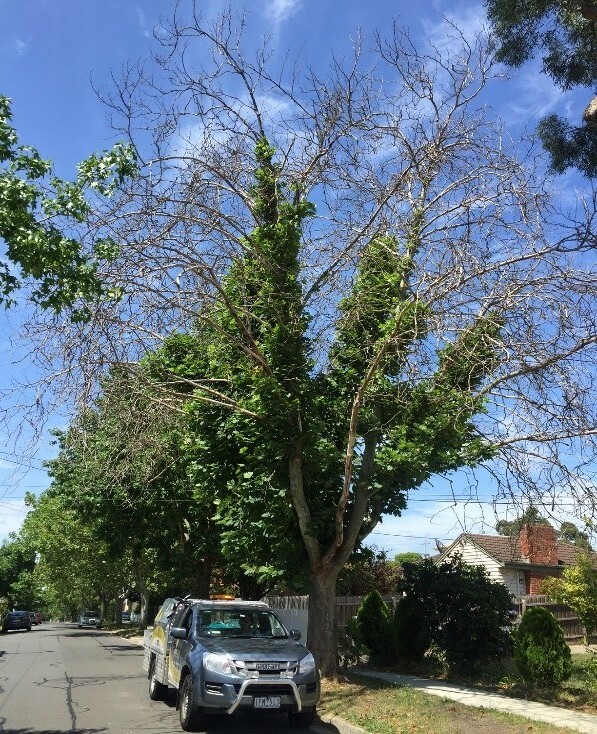 Not only is money wasted, but the health of your tree also suffers when ineffective treatment techniques are used. 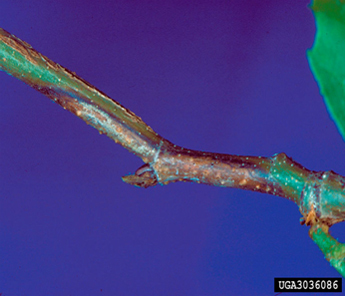 Cankers and advanced lesions girdle and distort stem growth. Cankers are over wintering repositories for mycelium and the perithecia that produce spores and new infections during the following spring. Reference image by: Steve Parton Environmental Tree Technologies. If left untreated, leaf scorching and destruction of buds will occur. Previous year’s growth will be destroyed as well as twig and stem growth for the entire season. 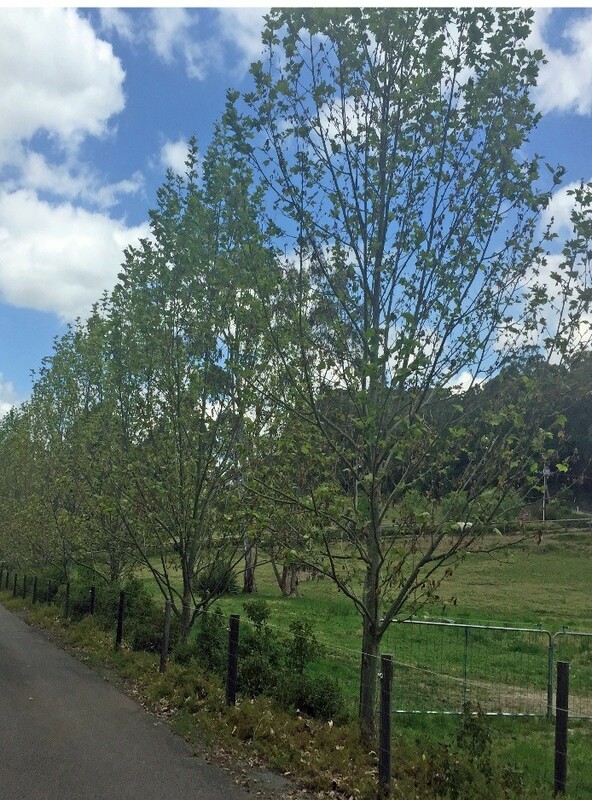 Canopy SprayingAn annual treatment usually undertaken at partial or full leaf expansion, effective for one season. Micro InjectionAvailable All Year Round, systemic fungicides are injected directly into the active xylem which transports the chemistry within, environmentally safe, persistent and effective for two more years. 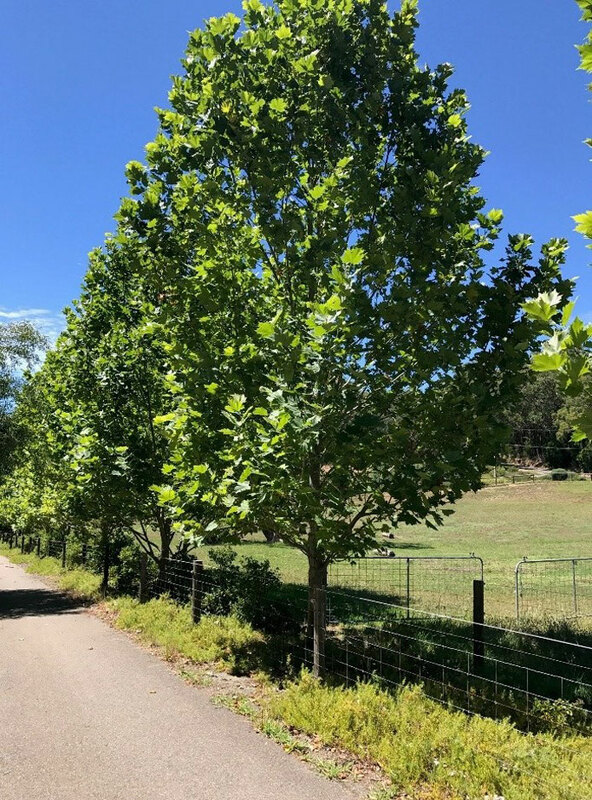 Powdery MildewCommon in Platanus species worldwide, it is a fungal disease that affects young leaves and shoots, a powdery white mat of mycelium and spores contorts new growth, buds and twigs are desiccated causing them to die. 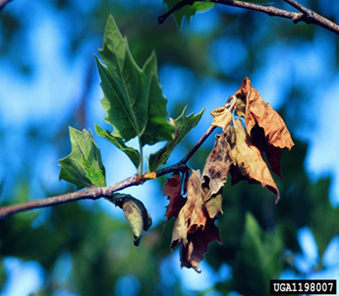 The disease alters twig and stem growth for the entire season, terminal growth tips die resulting in twiggy lateral growth. New shoots appear blighted and distorted, leaves appear scorched, terminal growth tips and small branches develop cankers and may die. 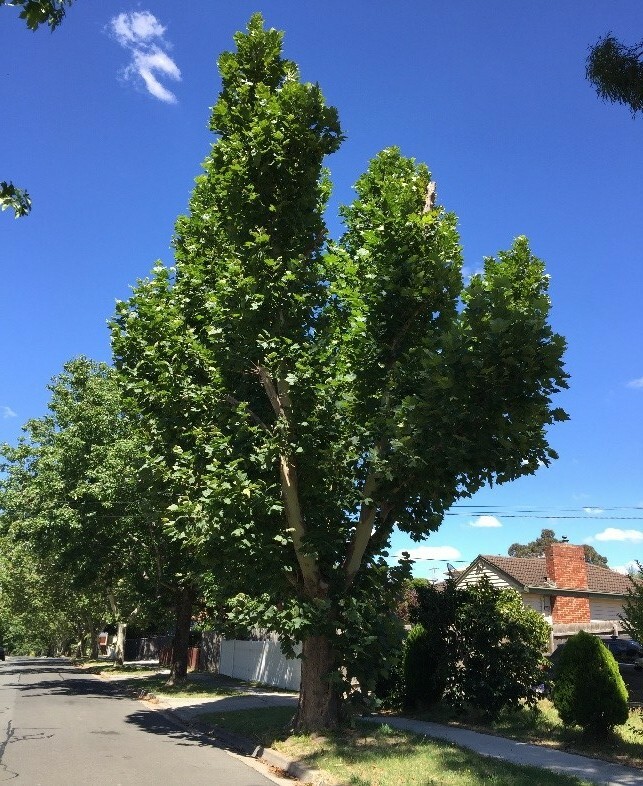 If left untreated leaves become unsightly, leaves appear blotched and necrotic and fall prematurely, distorted tree growth results in a decline and diseased appearance, severely altering ascetics and amenity value. 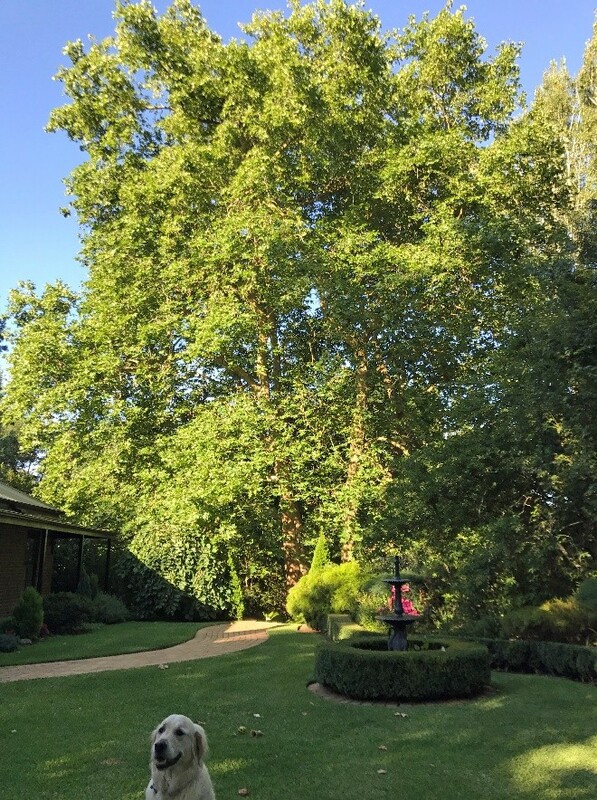 Plane Tree Anthracnose (PDF, 1.33 Mb).